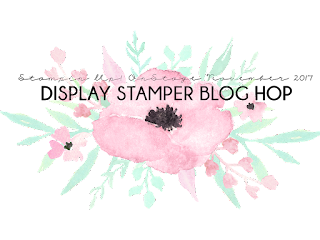 Welcome back to Day 3 of a week long blog hop bringing together 20 Display Stampers around the world. 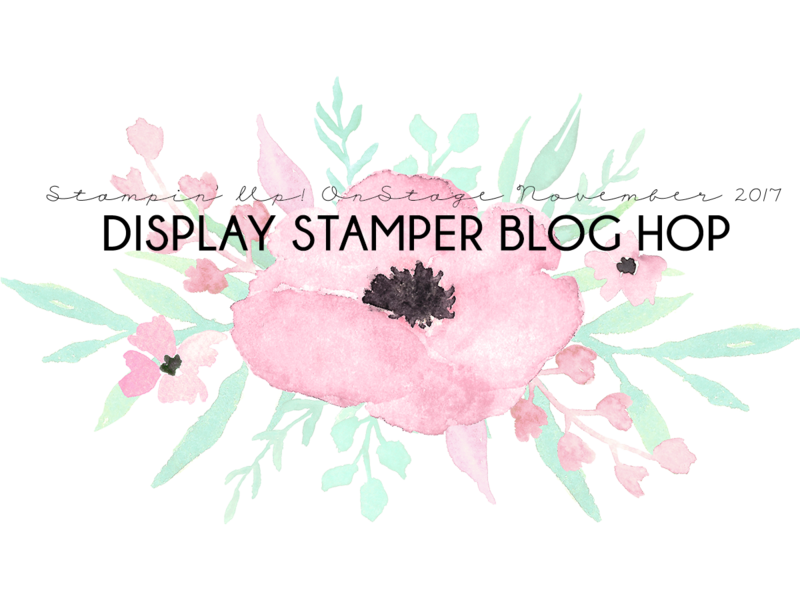 A "Display Stamper" is a Stampin' Up! 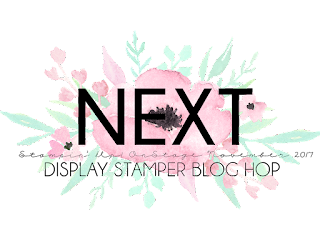 Demonstrator that is sent product from a future catalogue in order to create projects for large display boards to inspire those at a Stampin' Up! event. I was floored when I first played with this three step stamp on how realistic this stamp appeared. Unless you see this image in real life you might never catch the true dimension and realism. I have fallen in love with this little guy as she looks exactly like my daughter's Jellycat. I am sure many of you know exactly what I am talking about. A Jellycat is a sweet floppy eared bunny - the traditional toddler soother. And now we all fall in love. 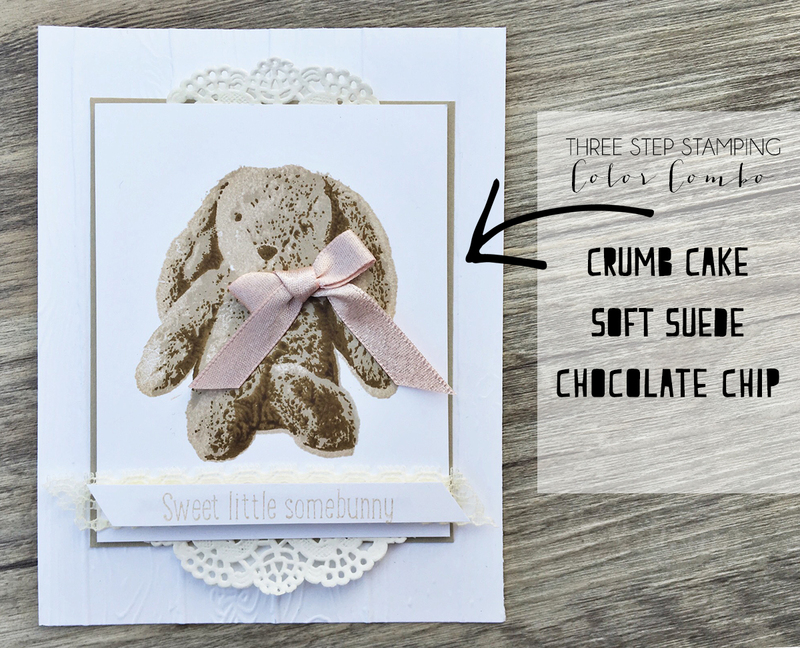 Perhaps this stamp might be perfect for your "sweet little somebunny". I couldn't stop at just one so I continued creating with this stamp and made a shaker card with the newest oversized glitter flakes. The little doilies work perfectly on the largest Circle Die from Stampin' Up! I love how you can get this soft border around the circle. Hope you enjoyed today's projects! 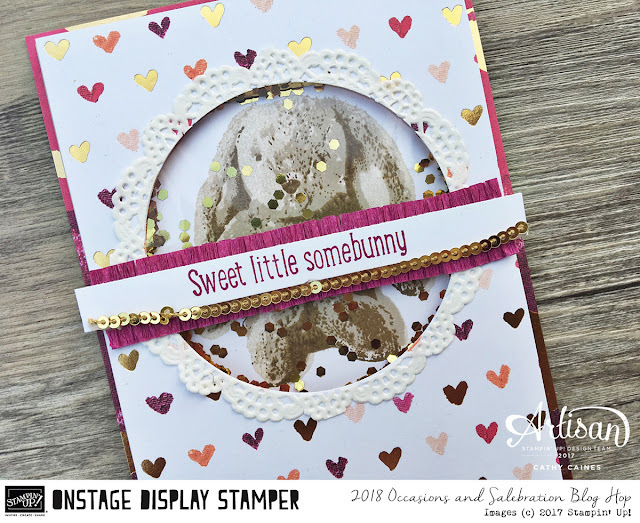 Keep hopping along to Diane Browning and be sure to check out all 20 of the display stampers! Have we received exactly the same box? Unbelievable. The first realization makes you want to cuddle and cuddly. I just love it !